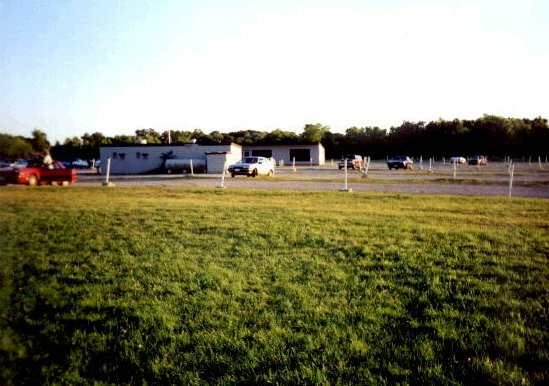 This drive-in theater is located on the south side of Kenosha, just north of the state line on Hwy 32 at 91st street. It is still in operation during the summer months, but I didn't get a chance to see any movies there. I will go and see some movies there this next summer and add the experience to this page. The screen is quite different from most others that I have seen. 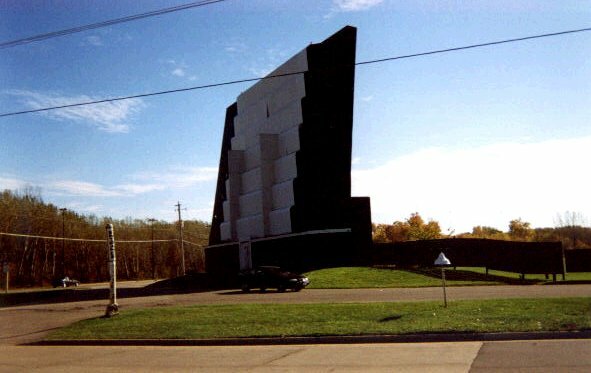 It has sort of a stair-step appearance as opposed to the skeletal structure that I've seen on most of the drive-ins here in Wisconsin. 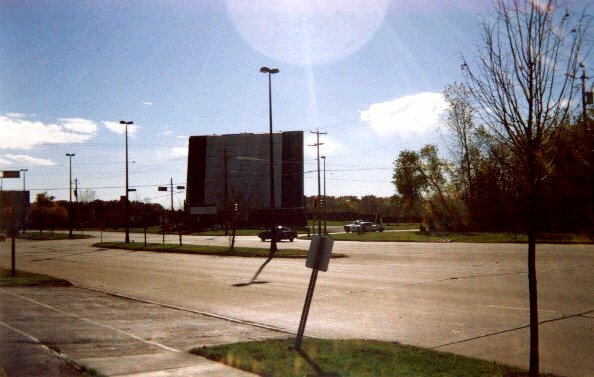 May 30, 1999: Finally got to see a couple of movies here. 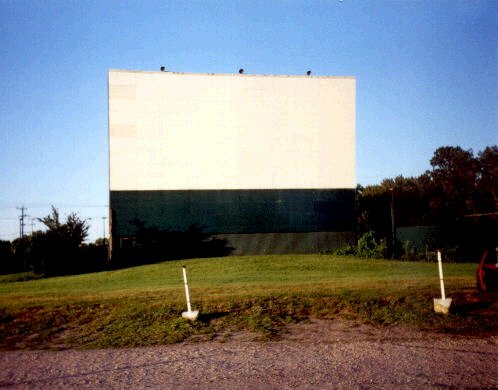 The Keno Drive-in is a very nice theater with excellent FM broadcast. The movies were "Blast from the Past" and "Never been kissed". 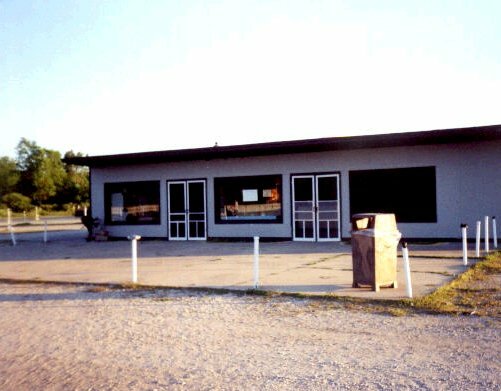 They have a nice concession stand with just about everything you could want. The cost of admission is $3.00 for two movies. July 22, 2000: Movies for the evening were "Big Mamma's House" and "X-Men". The crowd was huge! The theater was packed. They've been doing good business and things are going well. The previous weekends total car count was over 1600. Movie prices are $5.00 for two movies and are now first runs. 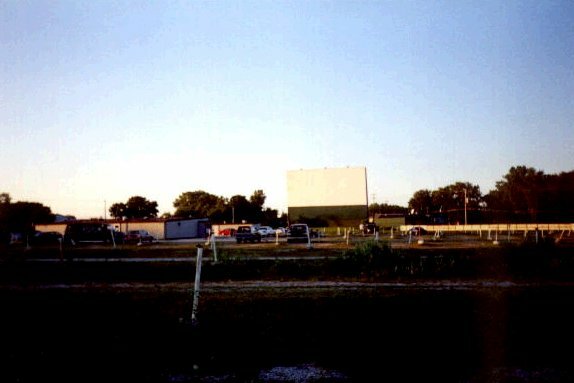 August 11, 2001: A full house, excellent weather, and "Rush Hour 2" and "Planet of the Apes". For the first time that I've ever seen it, someone arrived to watch the movies driving a semi tractor! I hope he was parked towards the back, because even with a pickup truck, you're not going to see over that one! 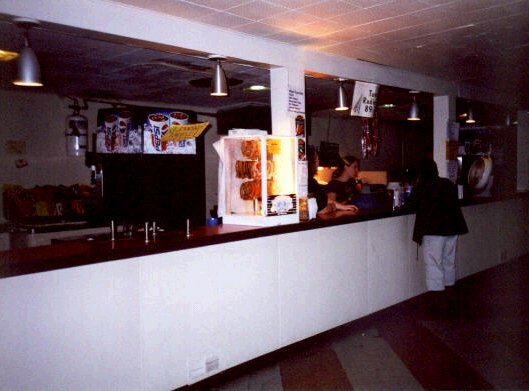 June 21, 2002: Busy place and the features of the night were "Austin Powers: Goldmember" and "K19: The Widowmaker". August 31, 2003: Kind of a dreary night, with scattered rain, but a good night for a triple feature of horror films. The movies for the evening were "Jeepers Creepers 2", "Freddy VS. Jason", and "Night of a 1000 Corpses". 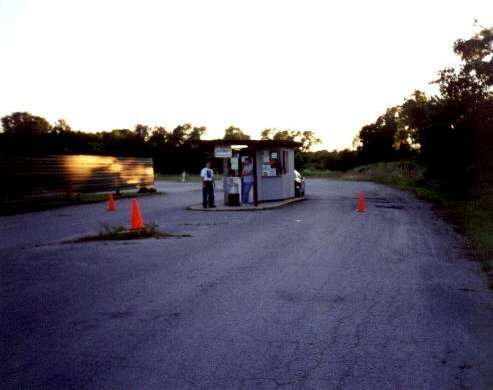 June 4, 2004: Good weather, for the most part. A few sprinkles during the night, but the place was PACKED! Features for the night were “Shrek 2” and “Harry Potter and the Prisoner of Azkaban”. I doubt there were many open spaces left in the place. July 6, 2005: Nice evening and decent sized crowd. Features were “War of the Worlds” and “Longest Yard”. 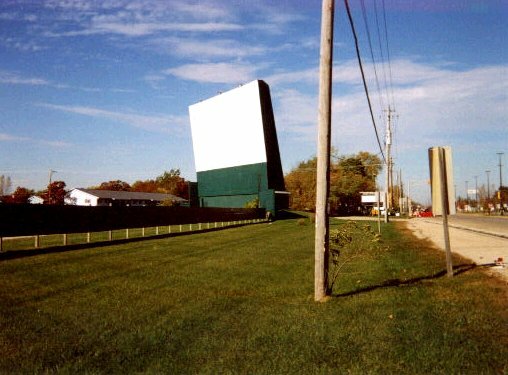 The screen visible from highway 32 looking north. Backside of the big screen. This one came out nicely with the lens flare from the sun. 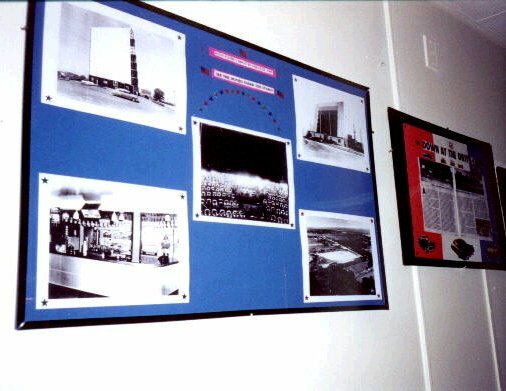 Inside the concession stand are several classic pictures of the drive-in including one taken from the top of the screen. Check to see what is playing HERE!